Pickuptrucks.com recently held a competition between the new GM and Ford one-ton HD trucks called the Rumble in the Rockies, pitting the trucks against eachother on the “Nurburgring of Pickups” at the Eisenhower Pass in Colorado. After their Heavy Duty Shootout over the summer, there was backlash over the short test distances as well as the newer available engine option from Ford that ups its power and torque numbers, so the Rumble in the Rockies was their final test to really find the true best truck between the GM and Ford. The two trucks used were about as apples-to-apples as you can get, with a $65 price differential, and a few lbs. difference in the GCWR – the GM was a Chevy Silverado LT 3500HD DRW 4×4 with a 6.6L Duramax, while the Ford was an F-350 XLT DRW 4×4 with a 6.7L Power Stroke with the Job 2 option of 400 hp and 800 lb. ft of torque. This competition was done solely by a third party (pickuptrucks.com paid for their own accomodations and for all the testing) to keep any calls for purposefully schewing the numbers, after GM had challenged Ford to a real-world showdown in the Rockies but Ford declined the invitation. The Eisenhower Pass is an extremely difficult stretch of road to encounter will pulling a loaded trailer, as basically every bit of towing and braking hardware is stressed at a very high altitude for multiple miles at a time – so what better place to stage the competition? The grade starts at 5% for 2 miles, and increases to 7% for the remaining 6 miles until the entrance of the Eisenhower Tunnel – which is the highest tunnel in the US. The trucks pulled a 6,500 lb gooseneck trailer loaded with three 4,140 lb pallets for a total of 18,920 lbs. over that stretch – this brought the total GCWR to 27,940 lbs for the Chevy and 28,160 lbs for the slightly heavier Ford. The first part of the test ran the trucks 7.6 miles up the pass, rising 2,224 feet over that distance, before coming back down and evaluating the exhaust brakes on the way down. You can check the full article for the in-depth analysis of each run, but for our purposes I’ll just give a quick rundown: The Ford ran 4 times, starting in 4 wheel drive and switching to 2 wheel drive at approximately 30 mph, and only 3 adult males were present in the truck on the first 2 runs to offset the Chevy’s 220 lb curb weight advantage (as the article points out, 220 lbs is basically unnoticable when you’re moving 15 tons uphill.) The best run the Ford could muster was 10 minutes, 46.8 seconds with an average speed of 42.41 mph and a top speed of 58.5 mph. Next up was the Silverado’s turn, using the same parameters as the Ford, and the Chevy was significantly faster – finsihing in 8 minutes, 38.2 seconds – more than 2 full minutes quicker than the F-350! The average and top speed of the Chevy was also higher, at 53.63 mph and 67.38 mph respectively. The next test was the exhaust brake, bringing that 15 tons back down the pass on a white knuckle stretch of highway while trying to keep the trailer and truck controlled. The big difference between these 2 trucks being that the Silverado has a push-button activated exhaust brake, while the Ford’s exhaust brake is automatically enabled whenever the truck is in Tow/Haul and can’t be turned off by the driver. In the test, they wanted to see which truck required the least amount of wheel brake application, so when speeds reached 60 mph, the driver applied his left foot to the brake to slow down the truck to 52 mph to start the cycle again. Through four runs, the Ford had to be manually slowed down 11 to 14 times during each descent, with the exhaust brake seeiming to have minimal effect. On the other hand, the Chevy, as pickuptrucks.com but it, was a “Superhero on the descent” with an average of only one to two manual brake applies on each run. The most telling aspect of the run was at the turnaround point at the bottom of the pass, where you could smell the hard-worked brakes on the Ford, but nothing coming from the Chevy. 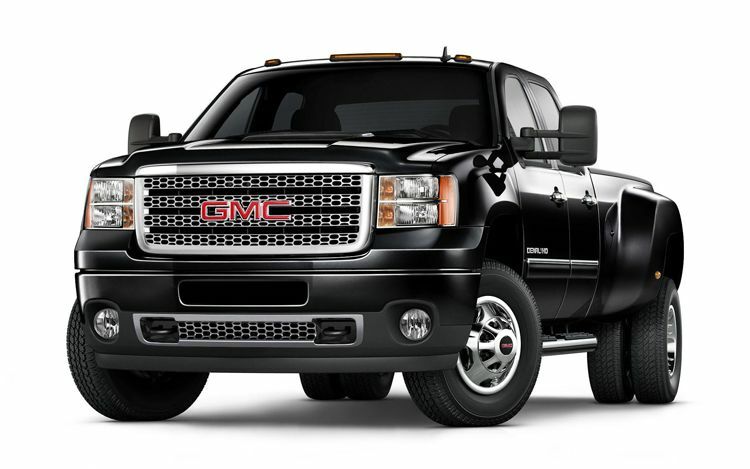 There’s no question that GM’s latest diesel pickups are the performance leaders in the class. Chevy doesnt just run deep. It runs high as well.